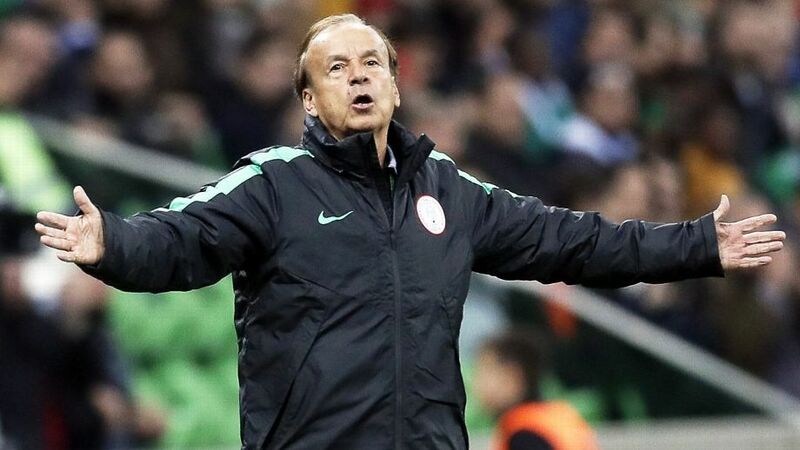 Super Eagles head coach Gernot Rohr has reiterated his desire to continue in his job as he hopes to help groom the team into a formidable force both on the African scene and the world stage. The Franco-German tactician was reportedly considering resignation after he failed to lead the Super Eagles past the first round at the recently concluded FIFA World Cup tournament in Russia. Nigeria finished third behind Argentina and Group D winners Croatia but it was not enough to take the team through to the knockout stage. Former Gabon and Burkina Faso boss Rohr made his position known in an interview over the weekend. “Who would think of resigning from this team? You would need to question your own work. No, it’s out of the question for me right now. “I don’t believe there is problem in NFF all I can see is nothing, the most important thing for me to do is to focus and believe in my job.”I have to do my best to make sure we play in AFCON next year. I need to start watching players in their various clubs and know those to be invited. Our project is also focused on the 2018 AFCON as well as the next World Cup. These are targets; we have players aged 19, 21 and 22 who are all first XI and we can be positive and believe that they will improve in the future.” He concluded.